Who are the various hospice team members who will be helping your patient and loved one? Before the process begins, it’s important to understand the role of each hospice care team member. This way, you can eliminate some potential surprises and be better prepared. Experienced, board-certified specialists in family practice, internal medicine and geriatrics, our medical director and hospice physicians approve patients for admission to the Samaritan program, guide and direct care teams, and re-certify patients for continued hospice care. They are available to consult with physicians in the community and to visit patients as needed. The patient’s personal primary care physician or specialist provides the hospice referral, oversees the patient’s hospice plan of care, and is responsible for initial and follow-up orders for care. He/she works closely with the hospice physicians and RNs. Primary RNs make regular visits to the patient and serve as a unique role on the hospice team. They coordinate all hospice services and provide skilled care. Nurses are responsible for the patient’s comfort. They manage medication, educate family members and keep them informed, obtain supplies and medical equipment, and call in other Samaritan specialists as needed. They work with the physician and family to anticipate and address changing needs, and provide ongoing assessments. They supervise licensed practical nurses or certified home health aides. 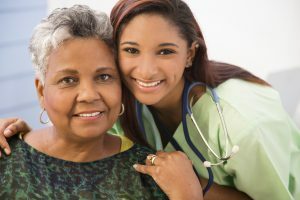 LPNs provide skilled nursing care, such as changing dressings, and assist with personal care and activities of daily living. Our LPNs also provide extensive caregiver education and guidance, especially during the first few days of hospice. 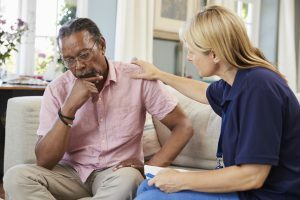 Their practical instruction in proven caregiving methods helps those taking care of a patient to feel less anxious and better-equipped to keep their loved one comfortable when Samaritan staff is not present. CHHAs assist with personal care, such as bathing, shaving, dressing, and other activities of daily living. They may assist with light meal preparation, change patient bed linens, and wash the patient’s laundry in the patient’s home. Primary on-call nurses are RNs who are available to address patient/family/caregiver problems or concerns 24 hours a day, 7 days a week. These RNs visit patients at night, on weekends and holidays, in response to emergent needs that cannot be handled over the telephone or wait until daytime office hours. Social workers provide counseling and support to help people cope with challenges and emotions that often arise at the end of life. They can acquaint patients and families with supportive resources available through Samaritan and their local communities, help answer insurance questions, and offer assistance with advance directives. These team members offer spiritual support, guidance, prayer, and counseling that is culturally sensitive and non-denominational, respecting all faiths. If requested, they help patients maintain or reconnect their ties to religious communities. These specially trained volunteers offer companionship, assistance and relief for caregivers. Family support volunteers visit during scheduled periods. 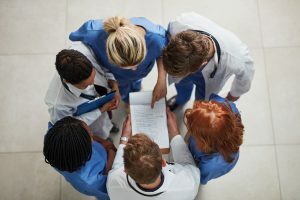 The patient’s plan of care may call for the use of consultants such as dietitians, pharmacists, and physical, speech and occupational therapists, for purposes of comfort and symptom management. Medical professionals who seek to prevent and manage pressure ulcers (bed sores) and other skin breakdowns to maximize patients’ comfort. Certified massage, music, pet, and aroma therapists, whose comforting care complements that of the core hospice team. These experienced Patient/Family Support Volunteers complete additional training to provide a supportive presence during a patient’s final hours. They offer a beautiful final gift of peace and solace to those they serve. These volunteers make phone calls to our patients and families to assess any needs they anticipate having over the weekend or holiday so that they can be met in a timely fashion. Bereavement volunteers make telephone calls to check- in with those who have recently experienced a loss and reassure them that Samaritan is still there for them if they need us. – Medical equipment and supplies necessary for care of the patient’s hospice diagnosis. – Medications necessary for relieving pain and managing symptoms of the hospice diagnosis.